Noel and Tim have a great love story. They knew each other for awhile, and even were in the same dancing group. After a few twirls and twists, they started dating and swing - they fell in love! 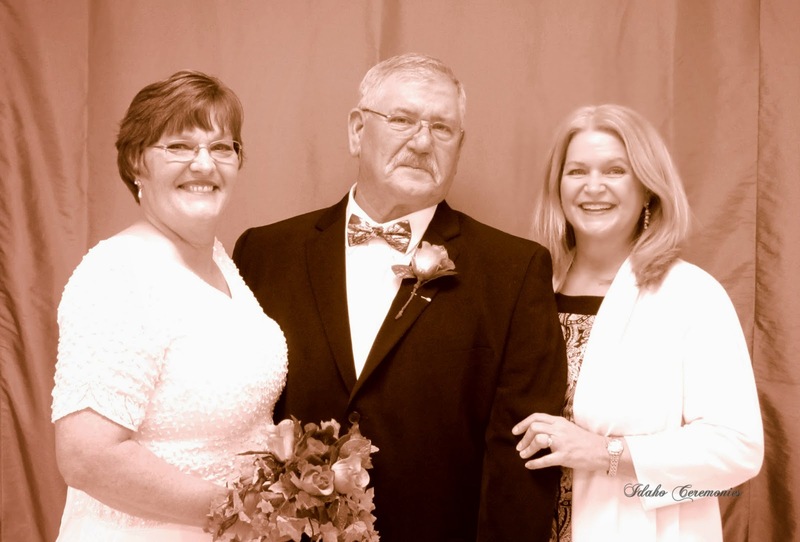 Their wedding was very special, bringing their children and special friends together for a memorable wedding ceremony in Nampa on the 29th day of March, 2014. The very best of life, love and dancing to Noel and Tim! A small gathering of close family and friends were present for the wedding joining Daryl and Charles on a beautiful Friday evening at the Adelmann Event Center in downtown Boise. The message was meaningful, and their vows centered on love and happiness as their families are now joined. Congratulations! This California couple who both are ski enthusiasts, were married on a beautiful, sun kissed afternoon at the Roundhouse on Baldy Mountain in Sun Valley. 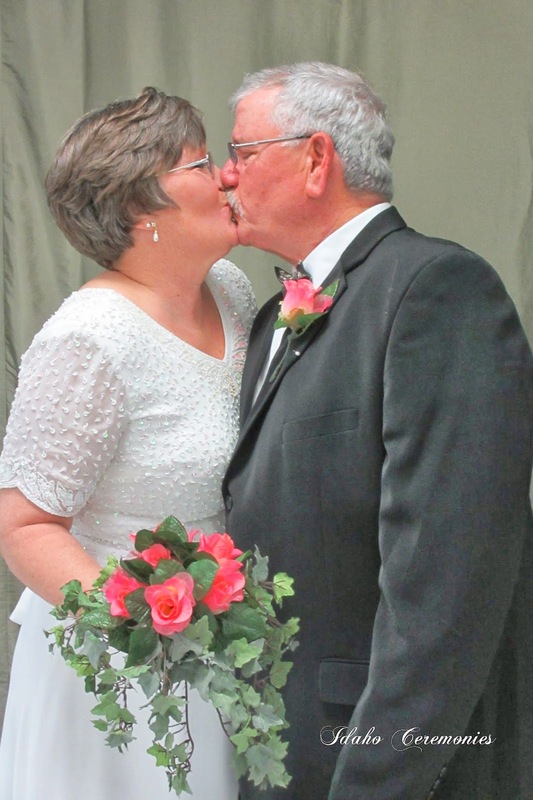 Lori Parker and Rod Decker exchanged promises and vows, through good times and bad, through sickness and in health (and healing shoulders)! 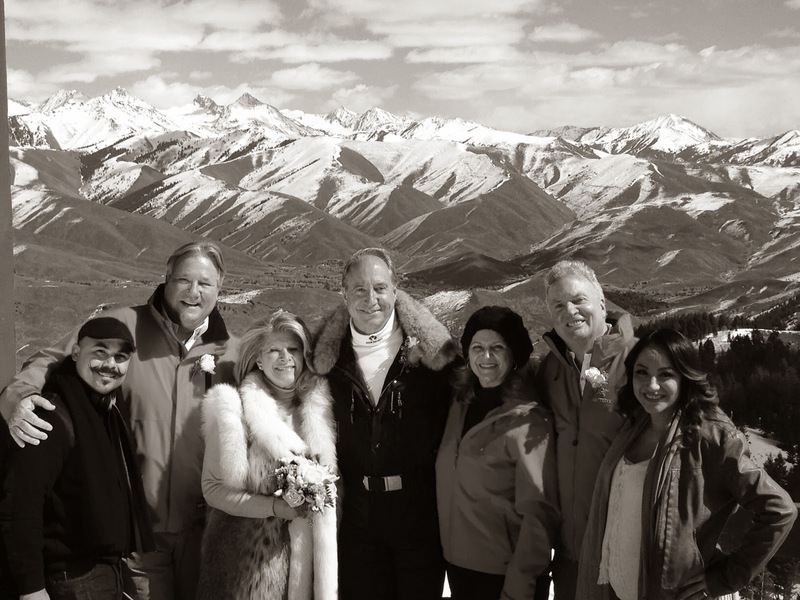 They were surrounded by their amazing friends Tom Livermore, Scott Shadrick, Selina Lopez and Jarett Gonzalez with a stunning backdrop overlooking Sun Valley and Ketchum. We broke bread together at the River Run Lodge after the ceremony, and wished the couple much love and happiness for all of the rest of their days. Sun Valley, truly the most elegant and oldest ski resorts in America, was the ideal destination for Lori and Rod to become husband and wife.